The launch field "Ballonwiese Mühlau" is located in the middle of the village Ebnat-Kappel. It is conveniently accessible by public transport and located only a few minutes from the train station of Ebnat-Kappel. 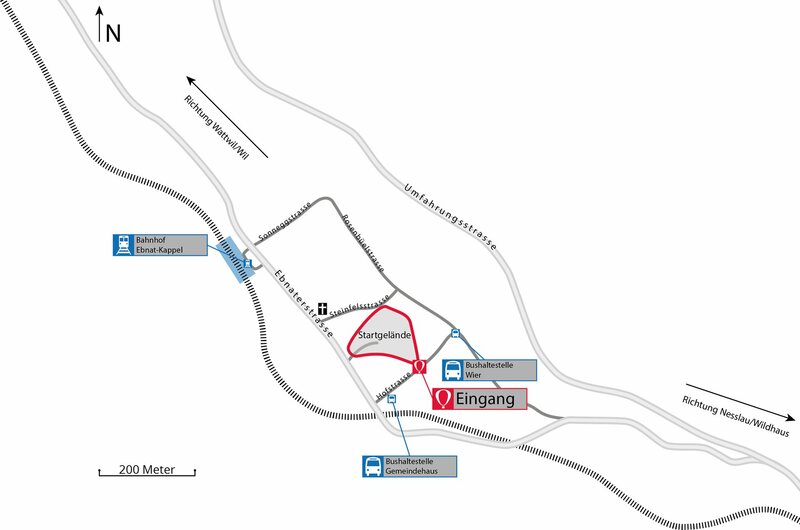 Additionally, you will find the bus stops "Gemeindehaus" and "Wier" right next to the launch field. There is a limited number of parking spots, which will be indicated. We kindly ask you to arrive by foot or public transport if possible.